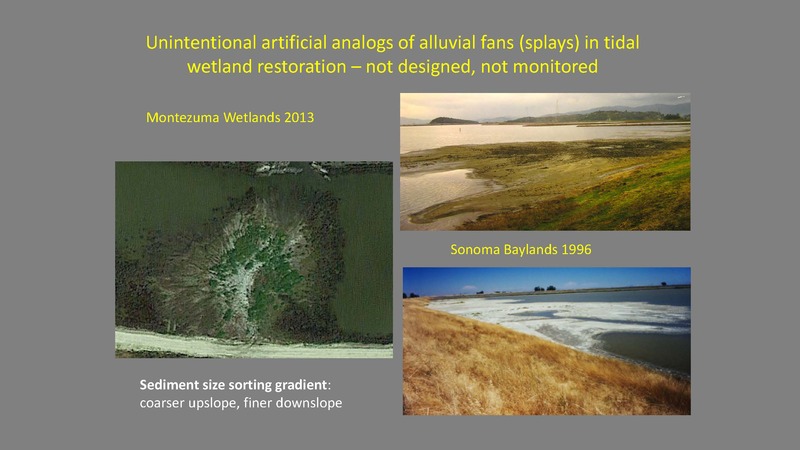 In recent years, many tidal wetland restoration projects have become larger and increasingly becoming more than just a mitigation tool. 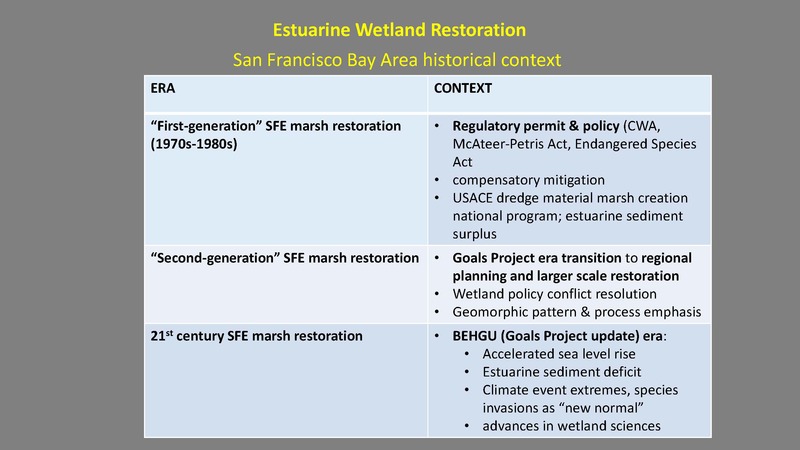 Tidal wetland restorations planned or under construction now face major new uncertainties such as accelerated climate change and sea level rise, invasive species, a decline in sediment supply, and other factors that now require revisions of our earlier assumptions about tidal wetland restoration. 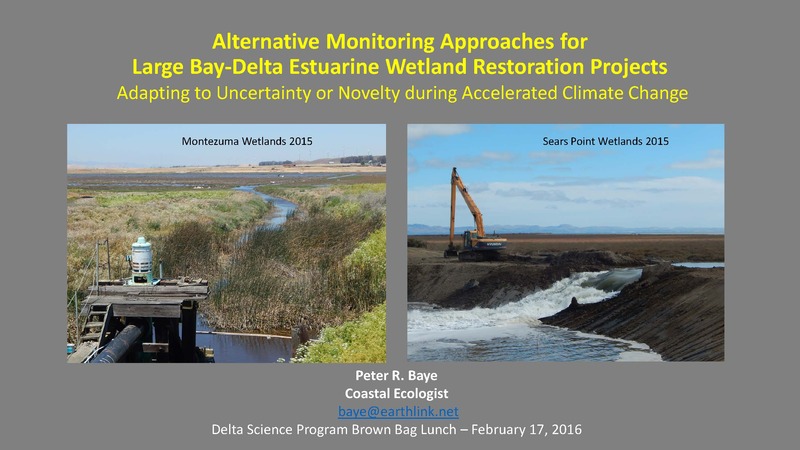 Dr. Peter Baye has a long history of working on regulatory wetland restoration projects in the San Francisco Bay. He’s currently an independent consulting Plant Ecologist specializing in endangered species recovery, wetland restoration, invasive plant management and native vegetation management. 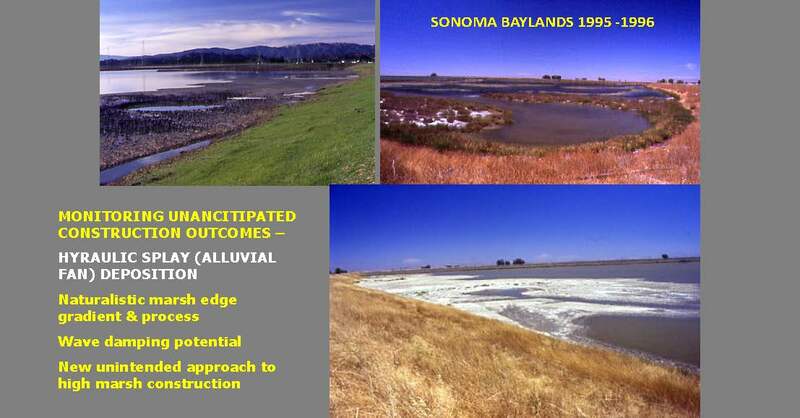 In this brown bag seminar, Dr. Baye takes a look at past wetland and marsh restoration projects, and discusses what can be learned from the successes and failures of those projects, as well as what is needed in terms of monitoring restoration projects into the future. 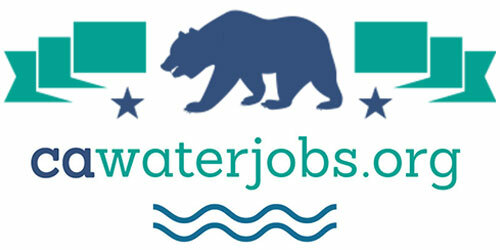 “What I want to try to do is highlight my professional experiences and sometimes frustrations with monitoring, having seen the difference between what it can be and what it actually is, and try to encourage it to evolve from the era where I got my start which is that the permit driven era of wetland regulation where permit compliance and project performance were pretty much the gold standard, especially for smaller projects,” began Dr. Peter Baye. The other end of the spectrum of is research and a lot of project-oriented monitoring, and resource agencies don’t want to go towards research, Dr. Baye acknowledged. 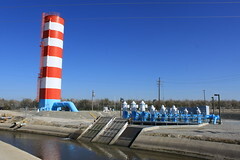 “Somewhere in between is in that realm of adaptive management where you could integrate the ability to show that your project is performing and your natural resources are being managed properly while you’re also learning and applying the most invaluable lessons which may not be based on your goals and objectives,” he said. “We now have an expanded view of the past that really has not yet been incorporated in our goal setting or monitoring plans for restorations,” Dr. Baye said. 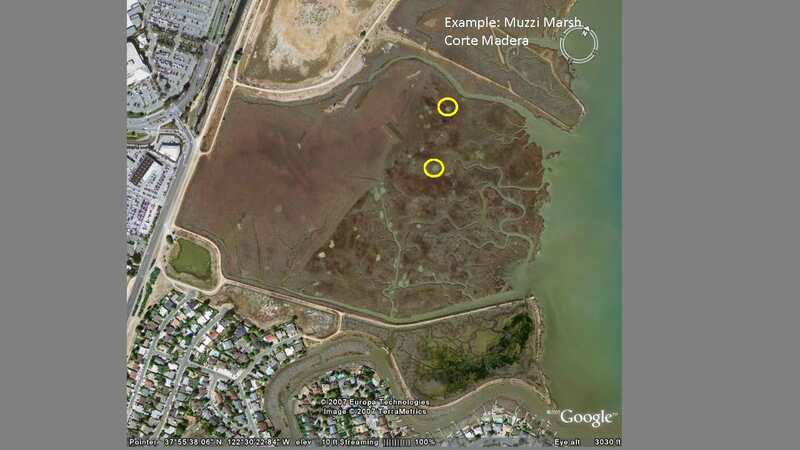 Examples of first generation marsh restorations are Pond 3 Alameda and Muzzi Marsh. 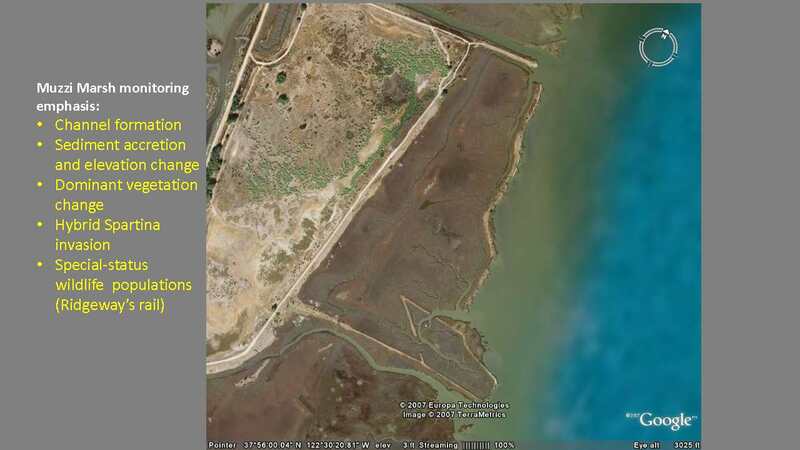 “These are the most mature restoration projects we have and they provide some instructive background on what we’ve missed with monitoring,” he said. 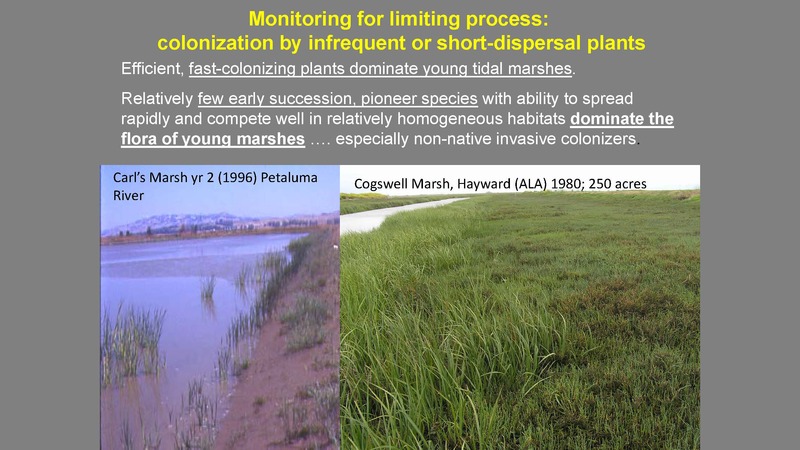 The origins of monitoring and the emphasis of monitoring in the 80s had to do with permit compliance, Dr. Baye said. 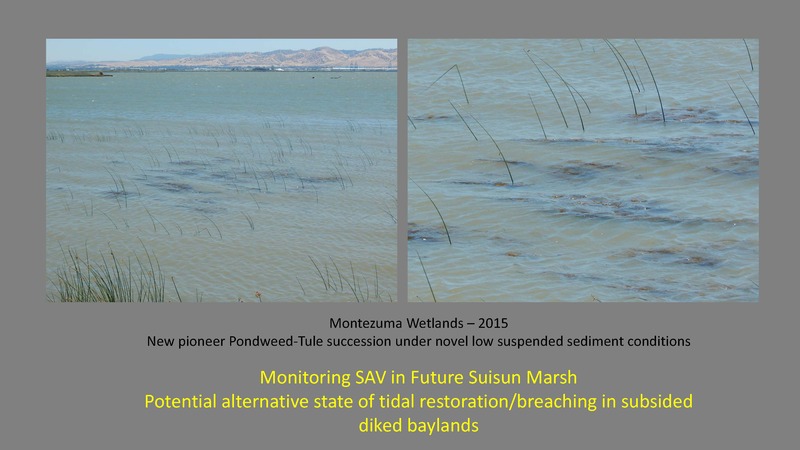 Monitoring emphasized things such as suspended sediment deposition rate, mudflat/marsh surface average elevation, threshold for pioneer (low marsh) vegetation establishment and acreage net gain, and channel formation. We’re starting to see some of the uncertainties in the evolution of those second generation projects. “There are a lot of surprises in the little twists and turns they take,” Dr. Baye said. 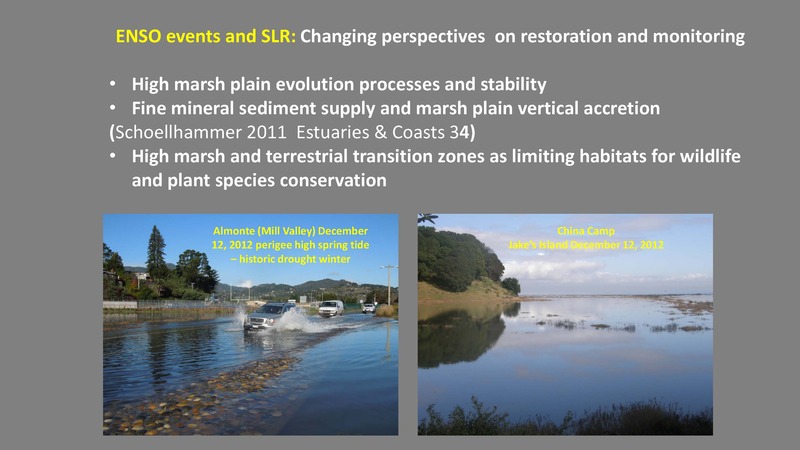 “Some of the changes that we see in restoration sites are not anomalies that are part of the pattern in process of marsh evolution effected by events, not progressive linear predictable changes, but stochastic processes – El Nino events, major floods, prolonged droughts that temporarily shift extremes of salinity, or the timing of rainfall that plants have their seedling germination cued to. 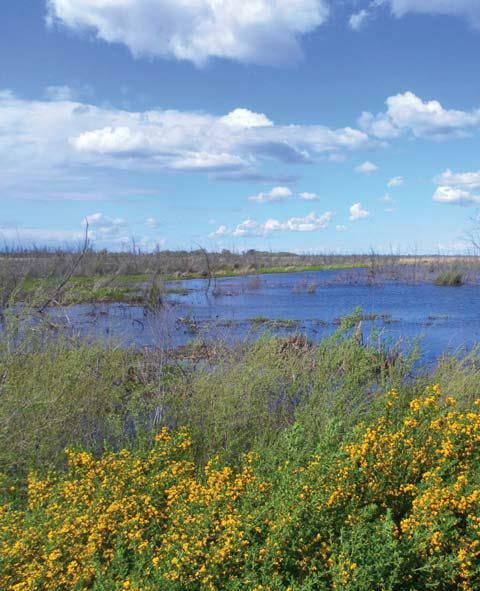 That can leave imprinted effects on the way marshes evolve.” He noted that the 90s drought, the big El Nino event in 1997-98, and now the current drought all have left their imprints on restoration projects, but not necessarily the monitoring plans. 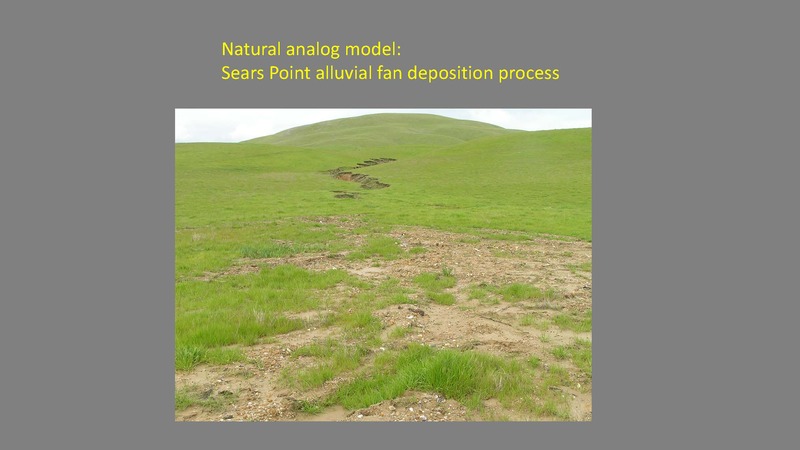 Even pre-project site water management caused irreversible soil and substrate changes to restoration site that affect the outcomes, he noted. 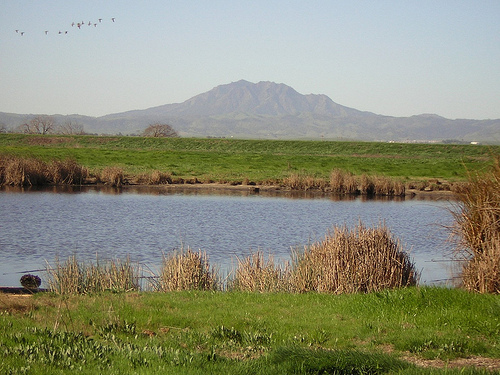 Another emphasis from the Goals project is the importance of local watershed connections – not just ambient background salinities or total freshwater flows or total nutrient loads, but what local watersheds deliver to local marshes and restored marshes in terms of sediment yield and local freshwater discharges, both surface and sub surface including groundwater, Dr. Baye said. 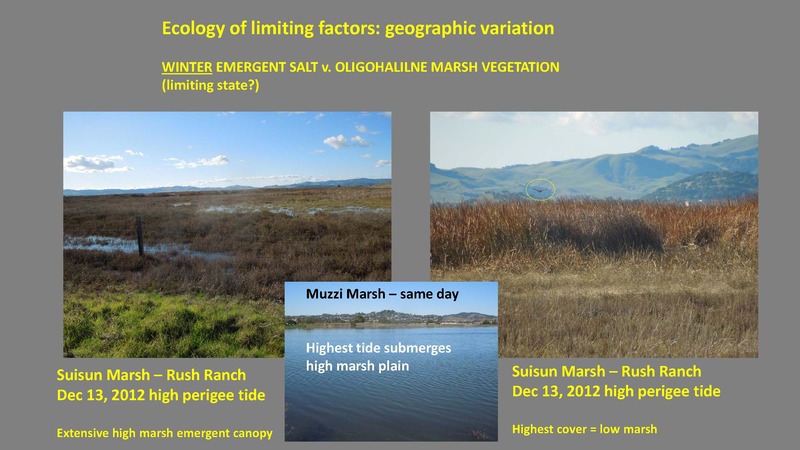 In the 1980s, there was the ‘real’ salt marsh and then the peripheral halophyte zone that was only considered useful as long as there’s some sort of crude cover. 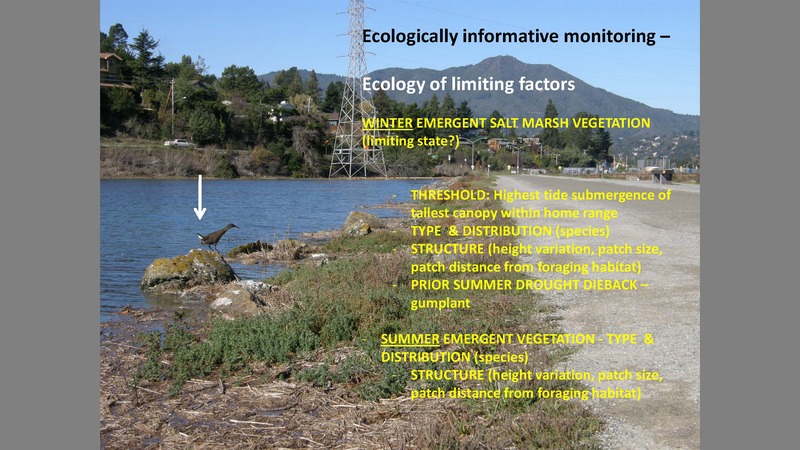 “But the dynamics and structure of that peripheral halophyte zone may be one of the most important factors we have for conserving the listed species for which the restoration projects and their monitoring was dedicated,” he said. The Department of Fish and Wildlife has studied salt marsh harvest mice and are finding that the mice are pretty much climbing up the tallest vegetation; they’re responding much the way they would in the tidal marshes. “So that does suggest that there’s no single tidal marsh monitoring template that’s going to fit all these marshes over time,” he said. 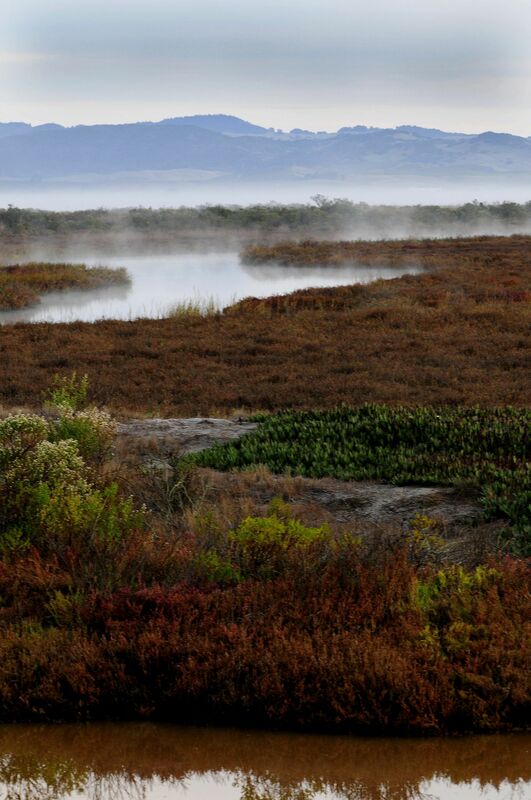 He then presented a picture of Heerdt Marsh, one of the prehistoric marsh remnants that has a large population of salt marsh birds beak where it’s close to extinct. “In the 40 years that it’s had the ability to disperse into potentially suitable habitat, no one has seen it, nor is anyone monitoring for it,” he said. Another aspect of the kind of rigid blinders with the criteria of monitoring plans is that sometimes the unanticipated outcomes in marsh restoration projects may be more valuable than the original goals of the project, especially going into the future with sea level rise and climate change accelerating, he said. 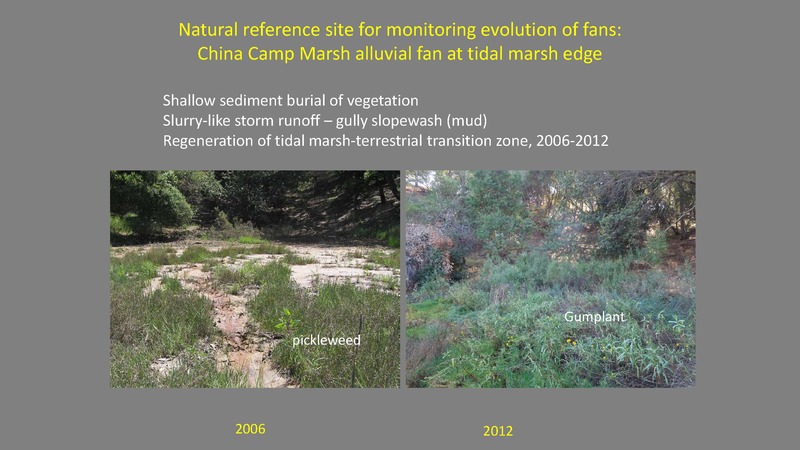 He next presented a picture of China Camp, probably one of the most studied marshes in the area, but he noted that no one was studying the terrestrial sedimentation process which we know now is really critical for making these restoration projects survive sea level rise, he said. 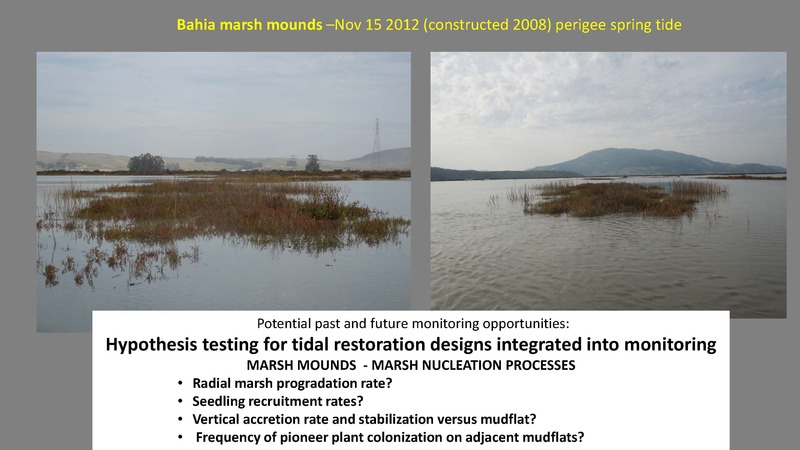 Dr. Baye then said another thing that is not being monitored is wind wave erosion and instability of tidal marsh edges. 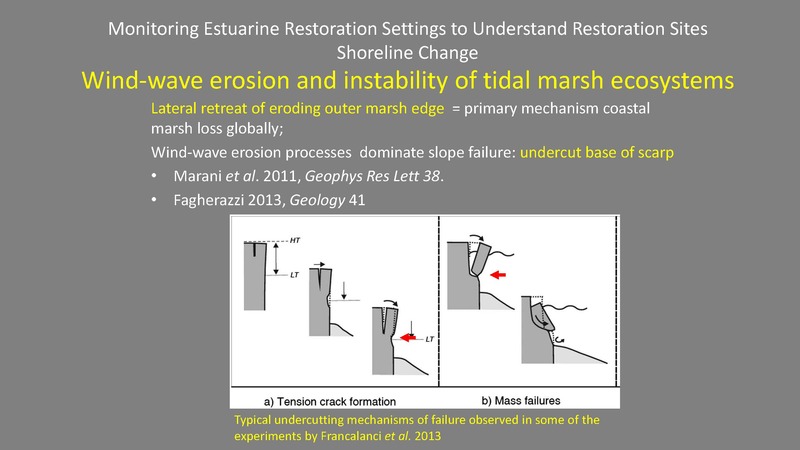 Globally there’s been a lot of recent evidence suggesting that it’s not vertical instability such as falling behind in sea level and drowning the low marsh that’s an issue, but worldwide, it’s the horizontal instability and lateral retreat of marshes that is a larger source of salt marsh loss, he said. 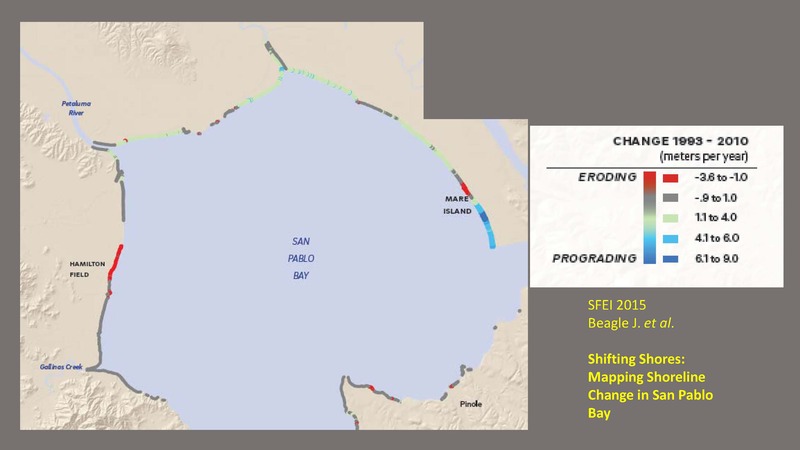 Back in 1979, a study estimated net erosion on different parts of the bay. 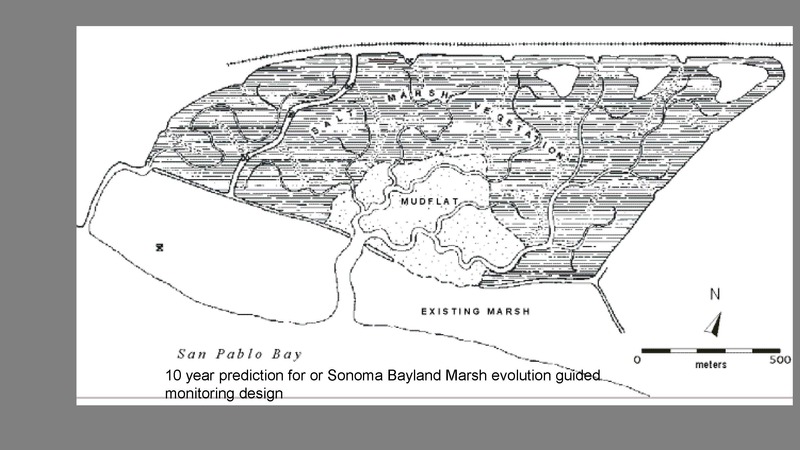 “A lot of the bay is not retreating; in the North Bay, there were pockets of marsh expansion. 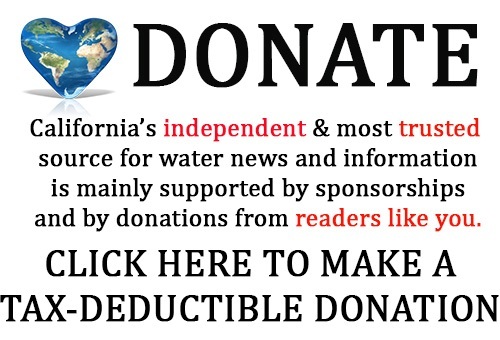 Maybe that’s an important thing for selecting restoration sites, but this is ignored,” he said. And being out of time, Dr. Baye’s presentation was then finished. Click here for Dr. Baye’s full power point presentation. 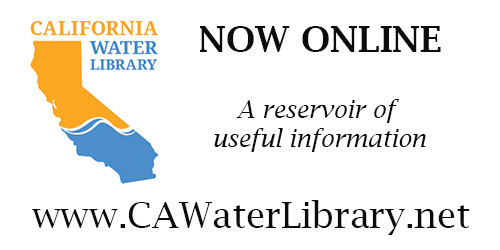 Click here for more brown bag seminars covered on Maven’s Notebook.